There are a lot of things to think about when it comes to codes and standards in a commercial building, right down to what type of hardware is installed for the doors. 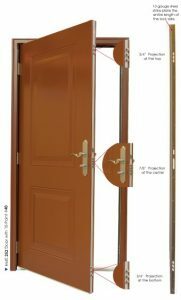 Here is a quick and easy guide to approved door hardware for commercial buildings. The outside lever is locked and unlocked by a key from the exterior. The inside lever is always unlocked and provides a single motion exiting when the interior lever is turned. The door is locked from the exterior side at all times and a code is required for entry. The inside is provided with single motion exiting when the lever is turned. 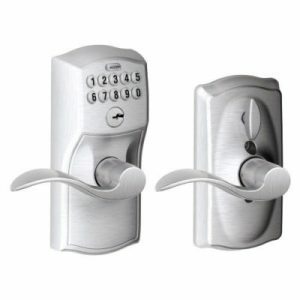 Single deadbolt protection with a single motion exiting (co-activating) when the lever is turned. 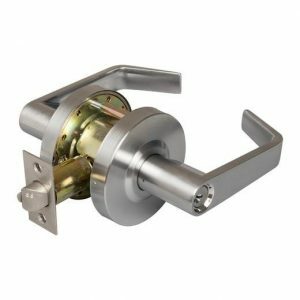 The deadbolt retracts when the interior lever is turned. Multi-point deadbolt protection with a single motion exiting when the panic bar is depressed. 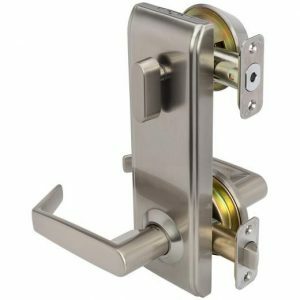 Multi-point locking hardware is also available with lever type handle. 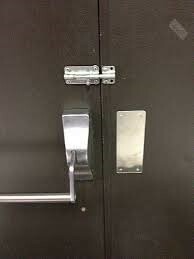 The locking device is readily distinguishable as locked. 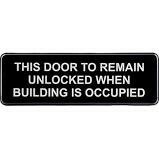 A readily visible durable sign is posted to the door stating: THIS DOOR TO REMAIN UNLOCKED WHEN THIS SPACE IS OCCUPIED. 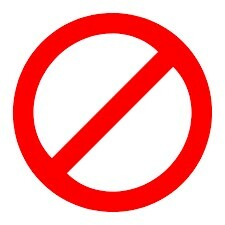 The sign shall be in letters 1 inch high on contrasting background. The use of the key-operated device is revocable by the fire code official for due cause. 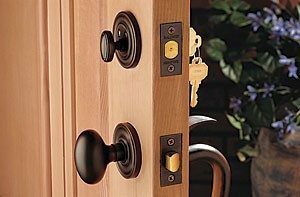 Note: The most common deadbolt in use is the single keyed deadbolt where a key is required to unlock the door from outside, but a thumb-turn is used to unlock the door from the inside. This is not permitted on any door in Class B or M occupancy unless it is a component of interconnected single locking hardware. NOT APPROVED UNLESS IT IS A COMPONENT OF INTERCONNECTED SINGLE LOCKING HARDWARE! DEAD BOLT LATCHES ARE NOT APPROVED AT ANY TIME ON AN EXIT DOOR WITH PANIC HARDWARE!